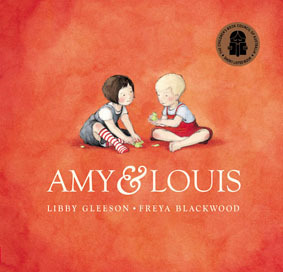 In an unprecedented achievement, illustrator Freya Blackwood has won three of the five categories in the 2015 Children’s Book Council of Australia awards. In the past few years Freya has generally been shortlisted two or three times but this year all of her shortlisted books are winners. 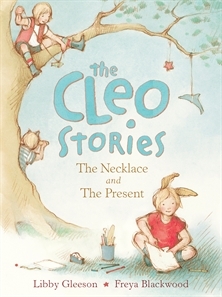 Her partnership with incomparable children’s writer, Libby Gleeson resulted in two winners: The Cleo Stories: The Necklace and The Present (Allen & Unwin) for Younger Readers and Go to Sleep, Jessie! (Little Hare, Hardie Grant Egmont) for Early Childhood. Freya won best Picture Book with Irene Kobald for My Two Blankets (Little Hare, Hardie Grant Egmont). This is a powerful refugee story with symbolic touches. 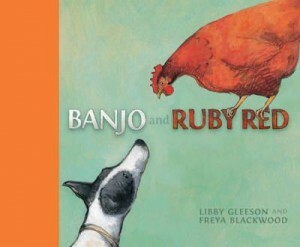 Gleeson and Blackwood have had award success with their other books, including Banjo and Ruby Red, which was a 2014 Honour Book. 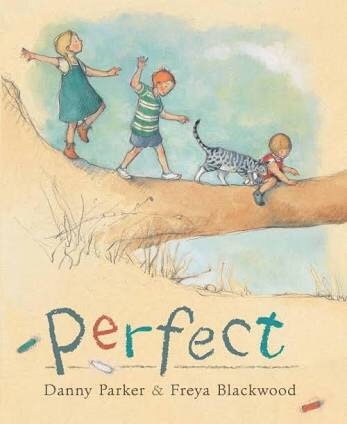 Freya Blackwood previously won the prestigious international Kate Greenaway Award, with Margaret Wild, for Harry and Hopper and has another gem coming later this year, Perfect, which I wrote about here. Other 2015 winners are the amazing Claire Zorn for The Protected (UQP) in the Older Readers category, which I reviewed in the Weekend Australian here. Claire’s debut novel, The Sky So Heavy, was an Honour Book last year, so she is a rising talent, and a lovely person. The YA Honour Books are Nona and Me by Clare Atkins (Black Inc) (my Weekend Australian review here) and The Minnow by Diana Sweeney (Text Publishing) (reviewed here). 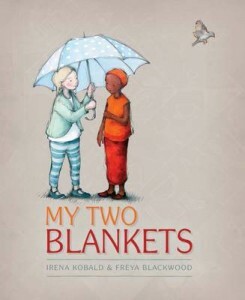 The other category that Freya Blackwood didn’t win – I haven’t ever seen a non-fiction book illustrated by her – is the Eve Pownall Award for Information Books. Text Publishing had another scoop here, winning with the impressive coffee table book, A – Z of Convicts in Van Diemen’s Land by Simon Barnard. Honour Books are the exquisite Tea and Sugar Christmas by Jane Jolley and the superlative Robert Ingpen (National Library of Australia) and Audacity: Stories of Heroic Australians in Wartime by Carlie Walker (Department of Veteran Affairs). Honour Books in Early Childhood are Scary Night by Lesley Gibbes and Stephen Michael King (Working Title Press) and Noni the Pony Goes to the Beach by Alison Lester (Allen & Unwin). Honour Books for Younger Readers are Two Wolves by Tristan Bancks (Random House Australia) (which I’ve reviewed for Boomerang here) and Withering-by-Sea by Judith Rossell (ABC Books, HarperCollins Publishers). Honour Books in the Picture Book category are The Stone Lion by Ritva Voutila and Margaret Wild (Little Hare, Hardie Grant Egmont) and One Minute’s Silence by David Metzenthen and David Camilleri (Allen & Unwin). Camilleri also won the Crichton Award for debut illustrators. Congratulations to the winners, as well as all the shortlisted authors and illustrators, and their publishers. It is great to see so many small publishers recognised in these awards. I’ve also written about the 2015 CBCA shortlisted books for Boomerang Books here. Here are 5 fantastic favourites you should reach out and grab onto with both hands – FAST! Jodie draws a duck just as her baby brother, Jonathon, takes his first steps. An exquisite and poetic glimpse at a speck in time overflowing with life; beginnings and farewells, dramas and insignificances. Brimming with Bob Graham magic. Banjo and Ruby Red by Libby Gleeson and Freya Blackwood, Little Hero Books, August 2013 Antagonistic Ruby the chook is teasing, taunting, stubborn and disregarding. Old Border Collie, Banjo, is determined, loyal and equally as strong-willed. A sometimes smiling, sometimes heart faltering look at the love and friendship that ties two seemingly opposites together. 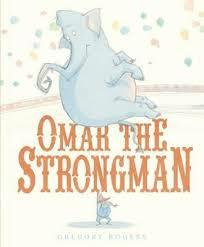 Omar the Strongman, by Gregory Rogers, Scholastic Australia, July 2013 A tender tale of a big man with an even bigger heart who eventually finds his perfect sense of place and value in the circus of all places. Sensitively and sublimely depicted as only Gregory Rogers can. 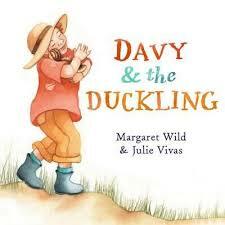 Davy and the Duckling, Margaret Wild and Julie Vivas, Penguin/Viking Australia, July 2013 Perfectly orchestrated story of a duckling who imprints on a boy who becomes his everything even after the boy becomes an actual human father years later. A gorgeous cyclical life tale of enduring relationships and the power of the bond of love. 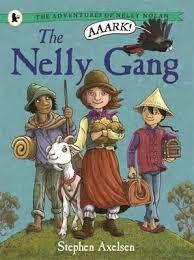 The Nelly Gang, The Adventures of Nelly Nolan, by Stephen Axelsen, Walker Books Australia, August 2013 Rousing adventure yarn presented as graphic picture book, set in the 1850’s and chock full of bushrangers, gold, and unlikely heroes. Why are these books all worth a look? Because they are supremely strong tales, gently told by phenomenal story tellers and harmoniously illustrated by renowned illustrators. There is something for every taste. View and buy any of these picture books simply by clicking on the title. 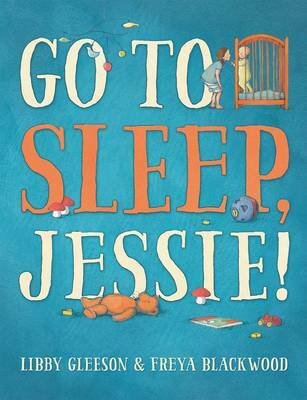 Libby Gleeson is a powerhouse of children’s literature. Don’t believe me? Click here. 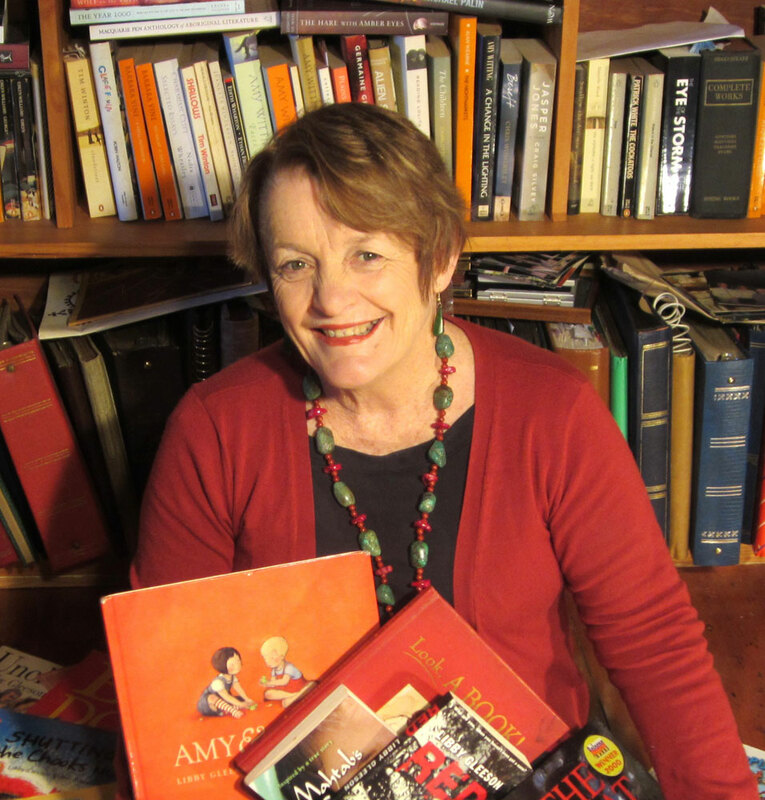 Her books have helped shaped the world views of so manny Aussie kids, and hers was the keynote address of the CBCA NSW Conference. 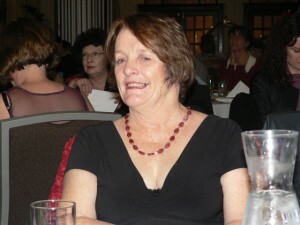 This was my first Libby Gleeson experience, and I loved hearing her speak. 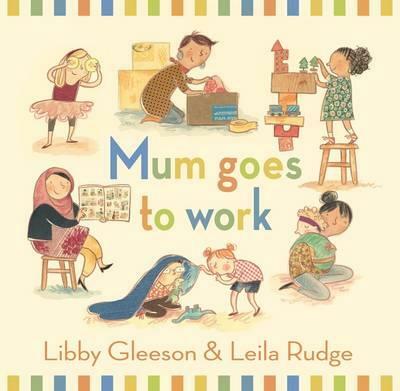 As tempted as I am to completely regurgitate her speech, I wouldn’t want to, in case she reusesmaterial with different audiences (I’ll get back to you with a definitive answer after my second Libby Gleeson experience). In all seriousness, though, she was excellent, and not just because she brought up, and spoke, at length, about the books of my childhood, The Magic Faraway Tree series. She touched on the books’ censorship (Note: William suppresses a rant), and how they left a mark, sometimes good, other times, bad. Her friend found them terrifying as a child. In fact, the very part that I found exciting, the risk the kids took that they may not be able to return to their own world, Libby’s friend found terrifying. Funny how we all react so differently, eh? Libby also touched on parenting and books, and how we select books for our children. She mentioned nostalgia being a big factor in choosing what to read, and the varying results letting nostalgia govern the books we read to our children achieves. 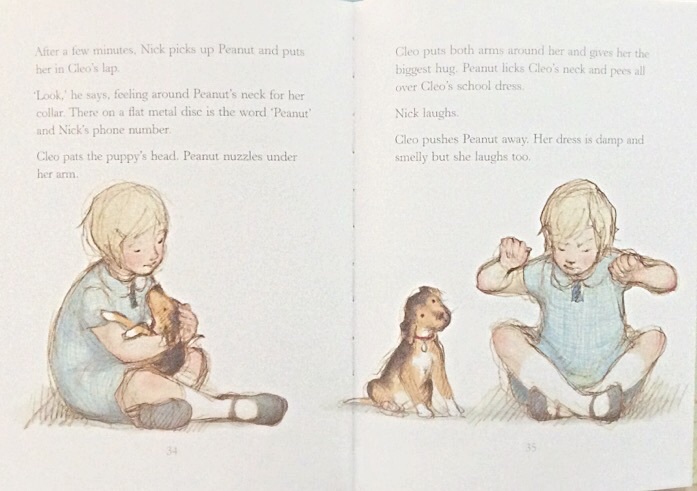 So, I thought I’d pose a question, or a few… Which books left a mark on your childhood? Have you tried reading them to your children? How did it go? Did they have the same experience with the book that you did? Boomerang Books is proud to announce that this weekend, not only is a member of our Boomerang Books blogging team speaking at the sold-out 2010 Children’s Book Council of Australia NSW Branch Conference, but we’ll be live-blogging the two-day event – with scheduled appearances by the big names in Australian children’s writing, including Libby Gleeson, Glenda Millard, Libby Hathorn, Jackie French, Melina Marchetta, Markus Zusak, Margaret Wild, Julie Vivas and Shaun Tan. For program information, click here. Sad you can’t make it? Itching to ask a particular author a question? Well, send me an email, and I’ll not only be your eyes and ears at the Conference, but I’ll be your mouth. In our second Friday Book Feature we are looking at a new edition of an old favourite – The Great Bear, written by Libby Gleeson and illustrated by Armin Greder. The circus bear spends her days in her cage and her nights performing for a crowd. The crowd taunts her as she dances – poking her with sticks or throwing stones. Can she ever break free? I was first fascinated by the story of The Great Bear when I heard Libby Gleeson talk about it at a writer’s conference. 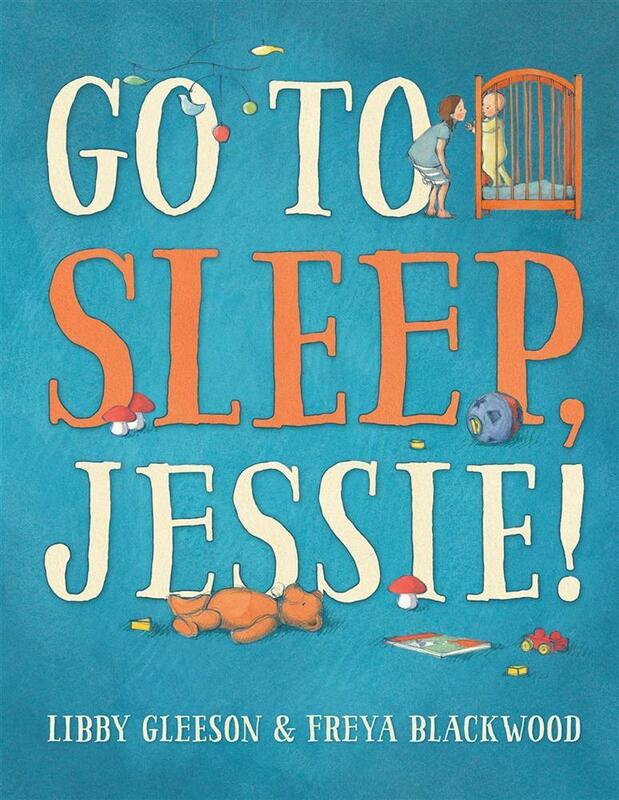 As a writer I was intrigued with the journey to publication and the fact that both author and illustrator collaborated on this book right from the start. This is an unusual process for a picture book to go through as often the illustrator is selected after the text has been completed. 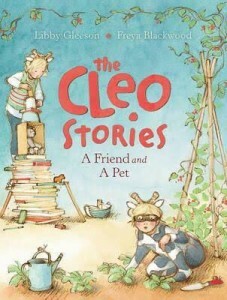 The story began with a dream of Libby Gleeson’s in which a bear escaped from taunting villagers by climbing a flagpole. It ended up being so much more. Libby says, “The creating of this story was a genuine collaboration”. Armin urged her to become more focussed on the myth and poetry in the writing and she suggested he create the sky as a character. There are so many compelling things about this book. It is a story of many layers allowing readers the space to interpret it in their own way. The simple narrative of a bear escaping cruelty is just the first layer. Beneath it are themes of empowerment and freedom, about our right to live with dignity. 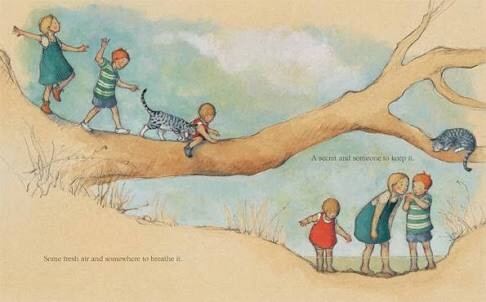 In the collaboration process, Armin suggested that the text in the last half of the book be removed because he felt that words and illustrations were repeating each other rather than blending together and complimenting each other. Dropping the words allows the pictures to carry the story and avoid repetition. It also allows the reader to be set free. It’s a simply told story with compelling illustrations and complex themes of empowerment and finding out who we really are. The Great Bear was first published by Scholastic in 1999. 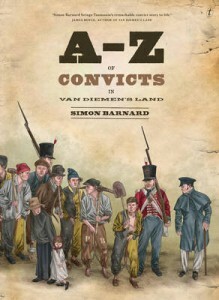 A new edition has just been released by Walker Books Australia ISBN 9781921529696. 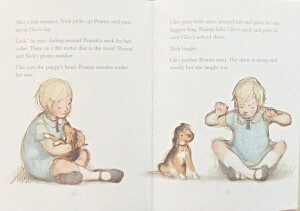 It is part of the Walker Classic series – new editions of Australian and New Zealand picture books. 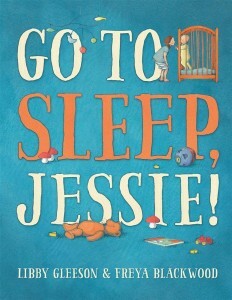 The series features new designs and additional notes from the author and illustrator and comments from an authority on children’s books. The Great Bear is a picture book for children aged 5-8.